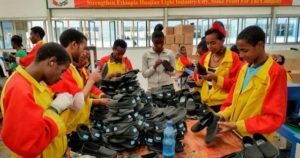 Will Ethiopia become the China of Africa? The question often comes up in an economic context: Ethiopia’s growth rate is expected to be 8.5 percent this year, topping China’s projected 6.5 percent. Over the past decade, Ethiopia has averaged about 10 percent growth.